Aston Barclay, the UK’s leading independent vehicle auction group, has acquired Wakefield-based The Car Buying Group (TCBG). 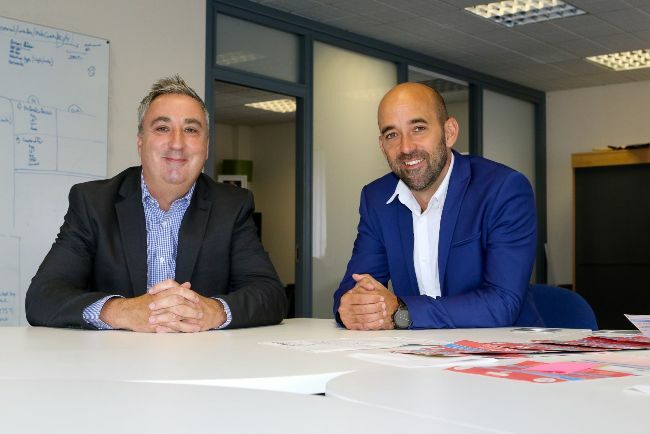 Selling over 10,000 cars nationwide on behalf of consumers TCBG, which is based in Wakefield, has been at the forefront of the online consumer car buying revolution since 2014. Aston Barclay’s new Wakefield Mega Vehicle Auction Centre in Photon Park, near Normanton will become home to TCBG, with current CEO Tom Marley moving his 30-strong team to the 18-acre site when it opens in quarter four. Tom will continue to run the business with his current management team and there are plans to double the size of the company and its workforce over the coming years. Aston Barclay already has a strong relationship with TCBG, selling used cars on its behalf at Donington and Chelmsford. TCBG has recently been awarded the “fast growth” award at TheBusinessDesk.com’s Yorkshire Business Masters Awards 2018 and was voted the 2017 Northern Tech 100 League Table fastest-growing tech company. It also features at number 20 in the 2018 Sunday Times Tech Track 100 list of fastest-growing private technology companies. It has developed some great new technology which will enable Aston Barclay to widen the breadth of new products and services it offers to its customers. Meanwhile TCBG will benefit from Aston Barclay’s strong IT reputation for launching new technologies designed and developed in-house. The entrepreneurial and disruptive spirit to growing TCBG through new technology and providing first-class customer service fits perfectly with Aston Barclay’s overall strategy of revolutionising the used car industry. s CEO Tom Marley said: “We have had a great journey over the past few years in launching and building the business. Becoming part of the Aston Barclay family will provide further support and investment to speed up that growth, and for our brand to become a national household name with motorists,” he added. “Our senior management team have known and worked with TCBG for several years and we have admired what they have achieved whilst up against bigger corporate competitors,” explained Neil Hodson, Aston Barclay’s CEO. “The acquisition is a perfect fit for the group as it provides us with extra volume and access to new technology which we can offer to our customers. We will grow the business on a national basis over the coming years. “Our new Wakefield Mega Centre will immediately become a dynamic place to work as the TCBG team joins the 40 staff from our Leeds auction. With 75,000 square feet of auction and office space, we have plenty of capacity available for further growth,” he added. During the acquisition TCBG were advised by Freeths LLP and Dow Schofield Watts. Aston Barclay meanwhile were advised by Dentons UK and Middle East LLP and FRP Debt Advisory.